Today it is the Katharine Hepburn Cultural Arts Center (The Kate) but it began as the Old Saybrook Musical and Dramatic Club. Its purpose was to raise funds for a new town hall by hosting a variety of entertainment programs. One of those theatrical performances, in particular, would have been appreciated by Katharine Hepburn. No, not the Hollywood legend who lived in Old Saybrook, but her mother. 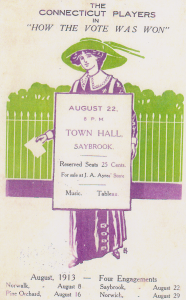 The performance was titled “How the Vote Was Won.” The play was written by Cicely Hamilton and in 1913 had four engagements in Connecticut, including the one at the Old Saybrook Musical and Dramatic Club. Cicely Hamilton (1872-1952) was an English writer and advocate for women’s rights. She co-authored “How the Vote was Won” as a one-act comedy specially written to support women’s suffrage. Her play was very popular and ridiculed the English legal idea that a married woman came under the protection and authority of her husband. In her play, the leading male argues that women do not need the vote because they are “looked after” by men. But when he is confronted with a household of female relatives demanding to be “supported,” the anti-suffrage hero realizes the error of his ways and joins the march on Parliament to demand votes for women. Cicely Hamilton supported the rights of children, widows, and unmarried mothers, advocated birth control and supported abortion law reform. 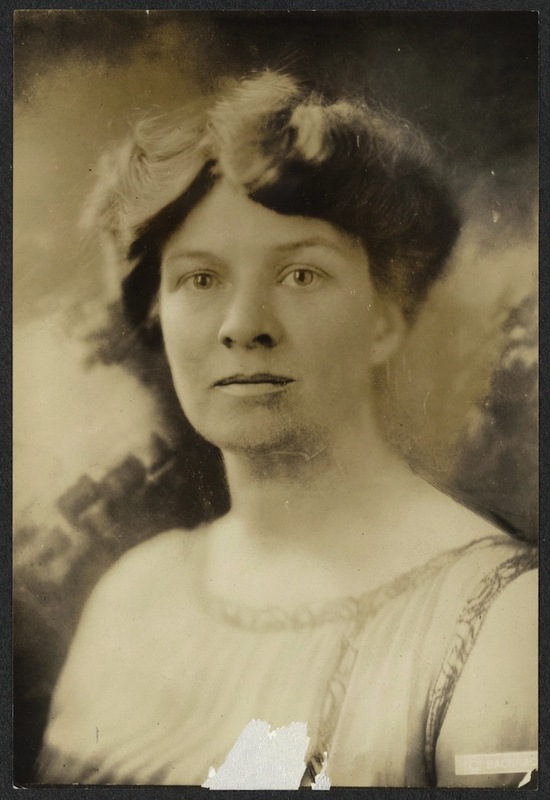 She would have enjoyed the company of a strong-minded woman from Connecticut with similar views, Katharine Houghton Hepburn (1878-1941). Katharine’s father was Alfred Houghton, son of Amory Houghton, Sr. the founder of Corning Class Works. Her father suffered from feelings of insecurity and deep depression and took his life when Katharine was 14. Her mother was determined that her daughters would receive an education and be able to lead independent lives. Katharine challenged Victorian traditions and an inflexible uncle and succeeded in attending Bryn Mawr College where she earned a degree in chemistry. She met a serious and ambitious young intern named Tom Hepburn and married him in 1904. They moved to Hartford where he completed his training and began a successful medical practice. A few years later they purchased a cottage in Fenwick. Katharine had six children but she was not to be confined to a traditional feminine life of domesticity. She met famous suffragists and with others organized the Hartford Political Equality League to battle for women’s right to vote. Her causes and efforts were controversial, especially among those in her “polite” society. In 1910 she was elected president of the Connecticut Woman Suffrage Association and increased membership in the group to more than 30,000. However, she grew disenchanted with their passive campaigns and resigned to join a more militant organization founded by Alice Paul, the National Women’s Party. 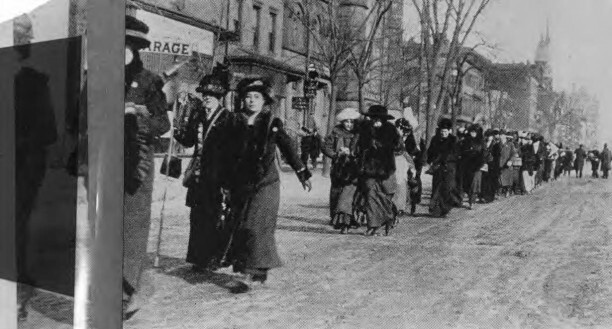 However, in Connecticut state’s two Republican Senators voted against the proposed amendment for womens suffrage was it was rejected by the General Assembly. Although Gov. Marcus Holcomb was presented with a petition with over 100,000 signatures, he refused to call a special session of the General Assembly to reconsider the measure. It was not until after 36 states approved the amendment and it went into effect that Connecticut finally approved the Amendment granting women the right to vote. Katharine Houghton Hepburn was deeply involved in all of these, and many other, reform efforts including birth control, laws governing child labor, increased spending for hospitals, and improved recreational facilities for immigrants. She is little known today for more than having a daughter of the same name. But, she was a significant reformer who agitated and educated… and that’s how the vote was won. Tedd Levy is a prolific author as well as a former teacher and past president of the National Council for the Social Studies. This article first appeared in the Shoreline Times (March 11, 2011).